National Standard Abstract has quickly established itself as a leader in faith-based development. Our knowledge in the field allows us to successfully navigate the legal issues and unique challenges associated with them. Our expertise in the field and understanding of faith-based developments and developers is unmatched, and we structure every project to deliver the greatest value for its community. Ebenezer Plaza Development is a three-phased project consisting of two city blocks in the Brownsville Section of Brooklyn, New York. The development will total 531 units of affordable housing, 40,000 square feet of community facility-religious use and 25,000 square feet of retail and commercial space. Phase 1A is comprised of 197 units of fully affordable housing -60% AMI and below. Phase 1A will also be comprised of the community facility space owned by the Church of God of East Flatbush. The space will also include a 1,200-seat, state-of-the-art sanctuary, along with greater space for expanded community services including soup kitchen, food pantry, educational programs for adults and children, computer training and family counseling. The Tree of Life development is a mixed-use, mixed-income, residential-commercial-community development in downtown Jamaica, Queens. The development will participate in the New York City Inclusionary Housing Program, and will provide approximately 162 residential rental units affordable to households with a range of incomes from 50% AMI to 110% AMI. Up to 33% of such units will be inclusionary housing units. In addition, the project will include approximately 8,500 square feet of community facility space to be used by the First Jamaica CUDC for community programs and approximately 15,000 square feet of community-commercial space proposed for a health or related-services facility. 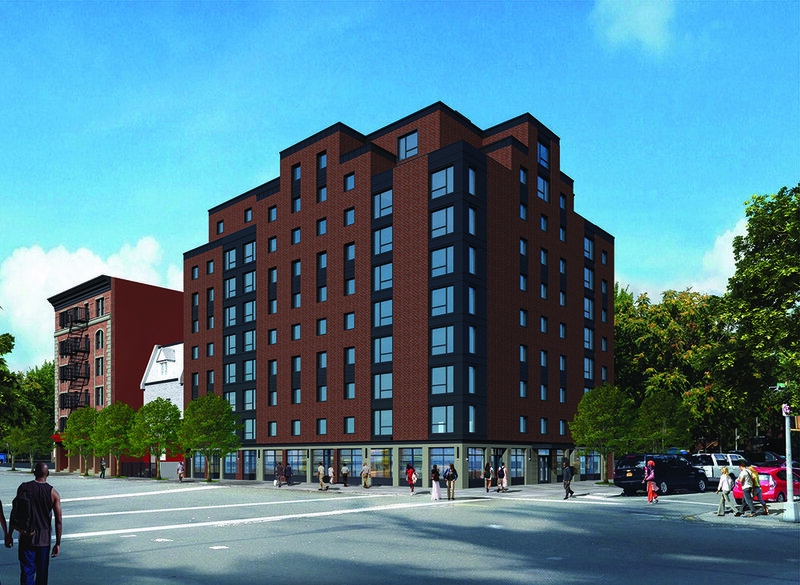 The Robeson on Lenox is a mixed-use building in Harlem expected to have 79 affordable residential units across 72,108 square feet. The project will include 2,518 square feet of community space for the New Hope Spring Grove Downtown Baptist Church of Christ and 7,498 square feet set aside for commercial use. The Bishop Philius and Helen Nicolas (BPHN) Senior Residence project will consist of 88 studio units. The project amenities include community room and common area space for residents, laundry facilities and on-site social services. An additional 10,575 square feet community service facility located on the first and cellar levels. The former site of True Holy Church in Ocean Hill, Brooklyn, will house a 67-unit affordable apartment building. The building will be named in honor of Harry T. Nance, True Holy Church’s Pastor Emeritus who served from 1978- to 2006. A new 4,913 square-foot church sanctuary will be located on the ground floor along with a 1,672 square-foot community facility. The lower level will contain 4,802 square feet of community space.